This is my cat Bailey. I couldn't resist sharing this photo of him. Pure indulgence i know. This cat is so laid back he's horizontal! Aww, how cute! 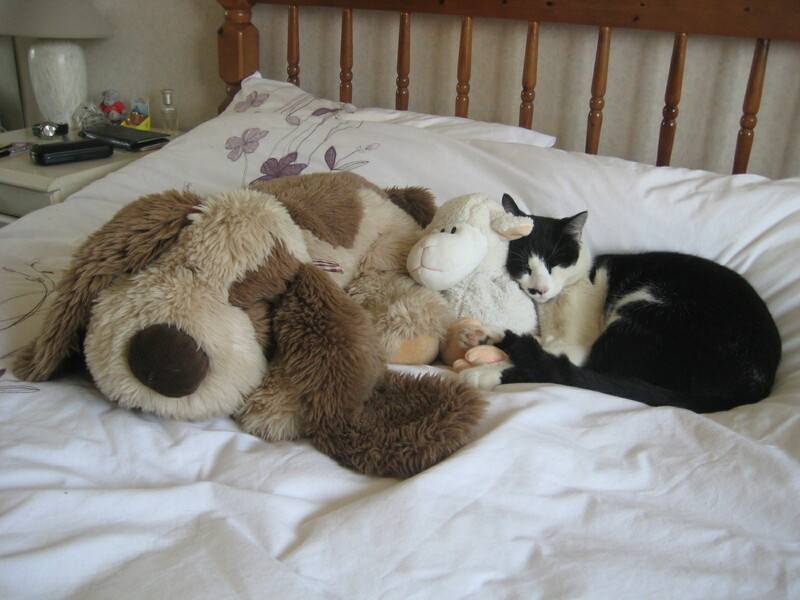 It reminds me of my pet rabbit when she snuggled up between two stuffed rabbits. She battles them sometimes, but then sometimes she demonstrates suprising affection for them, jut like your cat Bailey!